There are a few changes that come along with changing your brand name and one of these changes happens to be placing a new order for business cards. 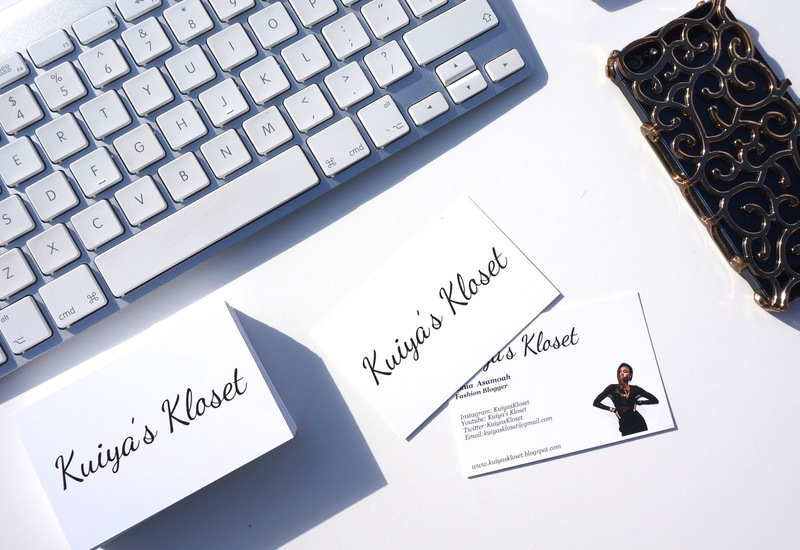 It was only months ago that I ordered my first set of business cards under my old blog name and being that I didn't quite handed them all out, I still had a mini heap of old business cards piled up in my bedroom. 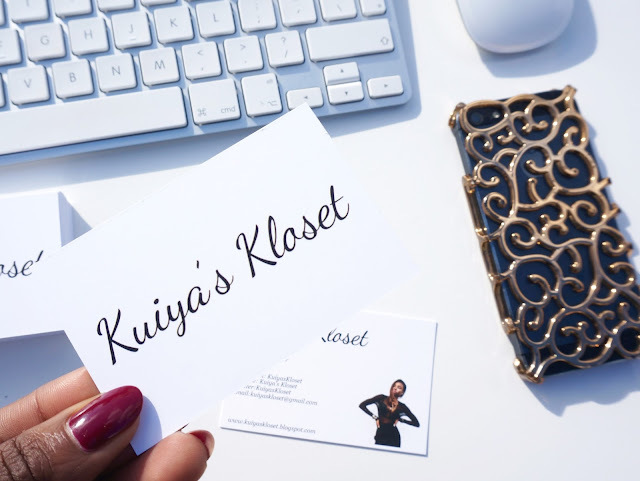 As much as I wish I could have held on to the old business cards, they were not a reflection of my current brand and so out they went and in with the new. I used Vistaprint to order my new set of cards simply because it was what I used last time and I found it relativity easy to customise the cards to my requirements. I still stuck to the monochrome theme this time round with the only exception being I had the brand name in black print over a white background. 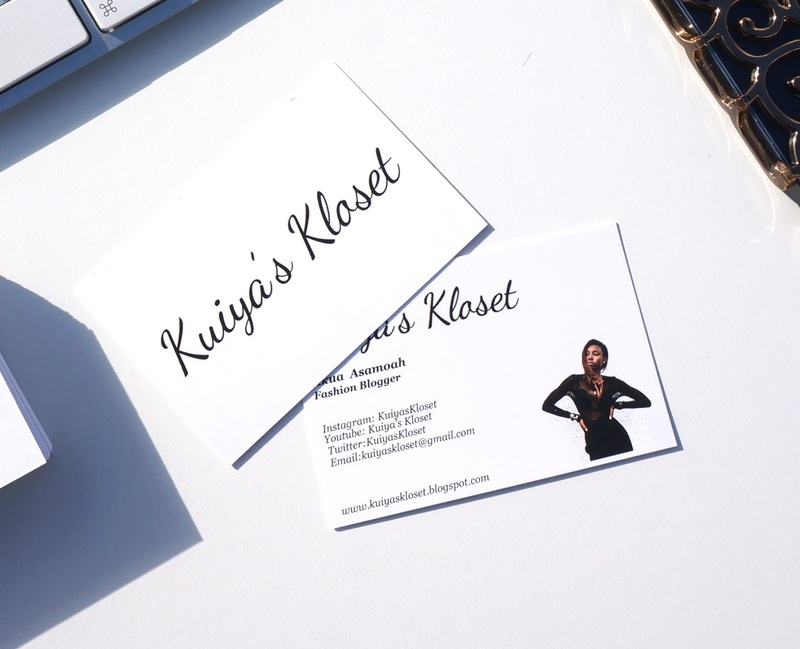 Where as with my old set of business which you can see here I had the brand name in white print over a black ground oh and I also added a picture of myself on my new set of business cards so as to leave a lasting impression on my recipient, haa. What are your thoughts on the new card? Which design do you prefer? the old or the new?